Caught this piece at The Inquirer about Toshiba’s new “super fast” USB 3.0 flash drives. “Super fast” refers to the drive’s ability to read or write up to 25 GB of data in about 5 minutes. This would make them about 22 times faster than a conventional USB 2.0 drive. This is made possible by DDR (double data rate – computes twice per clock signal) NAAND flash storage. The drives are powered by the USB port and are fully backward compatible with USB 2.0 and USB 1.o devices. The drives also support software that enables blocks of data to be protected with a lock so files stored in that block cannot be accessed without the password which is particularly handy for security applications and for government. About 20 times a month, we get a very specific question about a fairly common disc packaging item. We kind of touched on this in a previous post, but we thought we’d elaborate a bit further and specifically. “What’s a digipak and how is it different than a regular jewel case?”. Had the opportunity to replicate The Glorious Ache by Sills and Smith recently – the third full length release by the Ottawa area group. 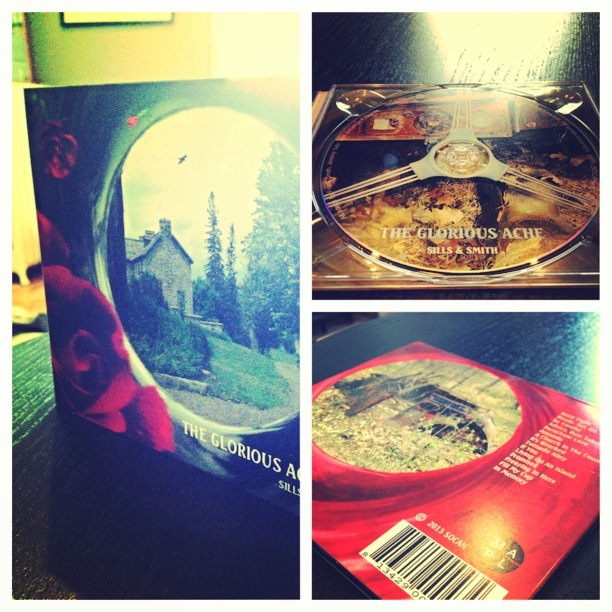 You can pick up Glorious Ache as well as their previous records here on CD Baby. You can pick up the record on iTunes here. CD and DVD duplication and replication is a process that creates in most cases (if done properly) an exact bit to bit copy of the source that’s been submitted – the source sometimes being a “master disc” of content. I like these because we perform a verification that the copies we’re producing are exact bit-to-bit reproductions of the master source we receive. It’s an important part of the process, but every so often we get a master disc (CD or DVD) that is an “open session”. What is open session you might ask. Well…I’ll answer that for you. We had the pleasure of working with the Canada Foundation For Innovation recently for a customized USB flash drive project they decided to do before the Christmas holiday. They chose one of our key style models – a flat panel USB style that is significantly thinner than conventional drives and utilizes a slightly different looking contact. They fit into standard USB ports on both Mac and PC and have a cool premium look. These kinds of drives are ideal for conventions, trade shows, and conferences as they make a great promotional giveaway. They’re equipped – like all of our drives – with USB 2.0. Recently – we had a question from a customer asking what exactly USB 2.0 is…so we thought we’d explain. Promotional flash drives are great tools to create brand awareness and market your business while simultaneously providing value to the recipient/end user. There are a variety of customization methods that you can choose with many standard USB drive models available without having to go the customizing route to get that particular look you want. We wanted to create a post about finishing technique on flash drives that many clients don’t consider before entertaining ideas on custom molds and shapes, some tips for consideration when the user receives the drives, and lastly some content ideas – all ways that you can kick up your promotional USB flash drive order. Utilizing a custom USB flash drive for your marketing is one of the most engaging ways to convey any communications project. Custom USB flash drives are fundamentally different than a traditional CD or DVD. They have a re-usable element, are considered high value items to the user, and have a personal and professional application for data storage. Part marketing item, and part effective office tool, thumb drives are increasingly considered the choice when looking to make an impression when delivering media. We wanted to dedicate a post to something that many of our customers are interested in doing when loading data on the drives. The USB autorun. If you’ve Googled “Custom Printed USB Flash Drives Canada”, “Custom USB Drives Canada”, or Custom Printed Flash Drives”, we’re glad that you found us. Standard Media Services is one of the leading USB flash drive sources in North America, and we take great pride in assisting our customers with making informed decisions about the variety of different models, sizes, and aesthetic items to take into consideration when they are considering using custom printed usb flash drives. Request A Quote, browse through our Custom USB Flash Drive catalogue, or contact us directly at info AT standardmedia DOT ca. Mark Motors of Ottawa, one of Canada’s leading Audi and Porsche group of dealerships, recently contracted Standard Media for a run of custom USB flash drives. They opted for a custom shape in the impression of Audi’s distinguished 4 rings with the dealership’s information on the back. They were looking for something distinctive and useful to leave with potential buyers and with new owners that created a sense of exclusivity. The drives were done as 2 GB models, and were custom molded with a standard single color white pad print on the back with the dealership’s two national capital region locations. With every purchase, and with every prospective buyer, the dealerships wanted to provide a highly memorable way of keeping the Audi brand on the consumer’s mind with a compelling and premium aesthetic that was reflective of the product they deal in. If you’ve Googled “Adding CD text to your audio master”, “CD duplication services Canada”, or “Short Run Audio Duplication”, we’re glad you found us. 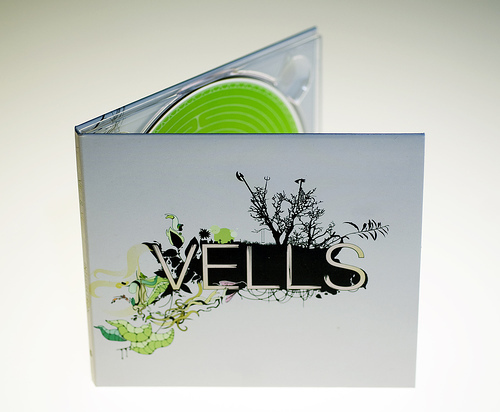 We specialize in short run Audio CD duplication with eco wallets, printed jackets, digipaks, and jewel cases. Request a Quote or contact us directly for an estimate at info AT standardmedia DOT ca. If you’ve Googled “Ottawa Web Design Services”, “Ottawa Web Design Companies” or “Ottawa Web Site Development”, we’re glad you found us. Standard Media has a full team of web site professionals that can provide the array of essential services for any small businesses’ web site needs. You can view samples of work in our web portfolio or Request A Quote. If you’ve Googled “Custom USB Thumbdrives Canada”, “Customized USB Flash Drives with Logos Canada”, or “Printed USB Flash Drives Canada”, then you’ve come to the right place. Standard Media Services is one of the leading USB flash drive sources in North America, and we take great pride in assisting our customers with making informed decisions about the variety of different models, sizes, and aesthetic items to take into consideration when they are considering using custom usb flash drives. Request A Quote, or contact us directly at info AT standardmedia DOT ca. If you’ve Googled “Custom USB Flash Drives Canada”, “USB Flash Drive with Logo Canada”, or “Printed USB Flash Drives”, then you’ve come to the right place. Standard Media Services is one of the leading USB flash drive sources in North America, and we take great pride in assisting our customers with making informed decisions about the variety of different models, sizes, and aesthetic items to take into consideration when they are considering using custom usb flash drives for the delivery of content that may have been previously delivered on CD, DVD, or the web. Request A Quote, or contact us directly at info AT standardmedia DOT ca. We’ve decided to dedicate a post to model and style considerations for custom USB flash drives. If you’ve Googled “Short Run CD Duplication U.S.A.”, “Short Run DVD Duplication”, or Short Run DVD Duplication Canada”, we’re glad you’re here. Request a Quote, check our Special Offers, or contact us for an estimate at info AT standardmedia DOT ca. We produce custom USB flash drives for our customers. Looking for a company or organization logo on the side of one? Promotional piece? If you’ve Googled “Custom USB Flash Drives Canada” or “Logo USB Flash Drives”, you’ve come to the right place. We’re the experts in all things Custom USB flash drive related. Request a Quote or contact us at info AT standardmedia DOT ca. You can check out our drive styles in our flashy new USB section. We utilize our blog as a means to shed light on the specifics of using these effective devices for either content delivery or promotional purposes. We’re also keen on asking our clients particulars when they’re shopping around for these. We thought we’d share some essentials with you when considering USB flash drives as a potential purchase. If you’ve googled “Custom USB Flash Drive Canada”, “Pendrive Canada”, or USB with Logo”, then you’ve found what you’re looking for. We produce custom USB flash drives with a company or organization’s logo. If you’re looking for drive styles, check out our USB Flash Drive section, Request a Quote, or contact us at info AT standardmedia DOT ca. Have you googled “DVD Manufacturing Canada”, “DVD Replication Toronto”, or “DVD-9s Canada”? If you’re looking for replication, print, and packaging for a DVD project you’re putting together, you’ve come to the right place. Request a Quote from us, or contact us directly at info AT standardmedia DOT ca. In the last few weeks, we’ve had a few of our recent video production clients ask us a few things about DVD duplication, and the best prep method for ensuring that even a small run of DVDs is done the right way. I usually tell them all the same thing. Here’s a few pointers on ensuring that your disc project gets produced correctly, even if it’s a short run that you’re getting done. This really applies whether it’s a CD or a DVD project. This month has seen a big flux of traffic to our web site via our Facebook group, as well as what’s been the passing around of our blog URL. Hands down, the biggest question from our corporate and film clients has been what the main differences are between Digipak product (both CD & DVD) and Standard Jewel Cases. Digipaks typically consist of a gatefold (book-style) paperboard or card stock outer binding, with one or more plastic trays capable of holding a CD or DVD attached to the inside. There are two different kinds of Digipak product. 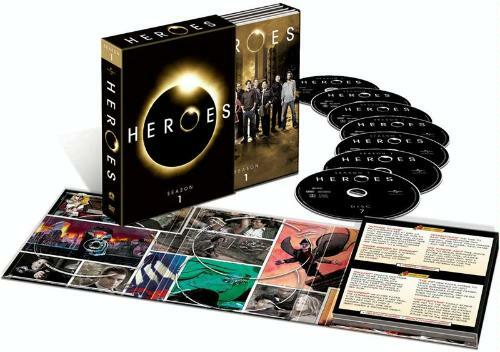 Standard CD Digipaks and DVD Digipaks, which have an increased height much like plastic DVD amary cases. Digipaks have some benefits over jewel cases and amary cases that are very important to note when taking into account, that YES…they are more expensive. As a musician, I’ll tell you, there’s not many things out there that will help you as much as CD baby. CEO Derek Sivers founded the company in 1997 in New York City, and hasn’t looked back since. This is the real deal. If you don’t know what CD baby is, then let me bring you up to speed with this highly credible company. CD Baby is an online record store founded and run by music lovers. This is as independent as it gets. They don’t accept music industry payola, and the company operates under four main principles. 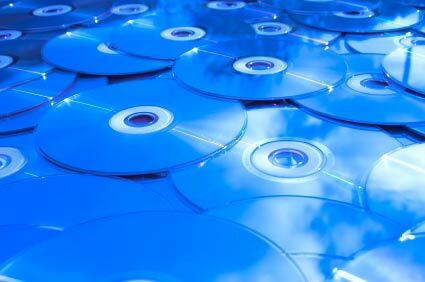 As purveyors of information and knowledge about the interesting applications of CD and DVD media, I wanted to shed some light on some of the cool things that companies all over the world are doing with CD and DVD media. We say this all the time, but CDs and DVDs are simply the content delivery mediums. The content on the discs themselves are ultimately what people want to access and use, and some companies and individuals are doing some very cool things. The consensus of opinions from manufacturers and digital preservation specialists, based on accelerated lifetime testing, is that a high quality CD or DVD, if properly handled and stored, should preserve data for at least 75 years. Studies conducted by Toshiba and Sony even suggest a lifetime as long as 200 years before the data becomes unreadable. We check our Google Analytics back end UI daily, and some of the keywords that have been popping up in terms of search that brings people to www.standardmedia.ca are things like “Using CD & DVD for Archival”, “CD Replication for Archiving”, “DVD Archives”, and “CD and DVD Archive”. We’ve decided to dedicate a post to the ins and outs of what you should know when deciding to transition into a digital archive using CD or DVD products. Is it possible to be green as a disc manufacturer? After all, discs are made of plastic, which is a petroleum product. As a childhood lover of Lego…I just had to post this cool USB flash drive. So I was having a conversation this morning with a friend of mine about inter office use of USB sticks, and how different mediums of media product can simply do things in different ways. For instance, something I come across regularly when discussing strategies and ideas with clients is the suggestion by other media consultants and media products companies that EVERYTHING is either moving or has moved to the web or electronic environment. It’s a digital world! The web is where it’s at! Printed manuals and books are an ancient thing of the past! Nothing will be in a hard copy format anymore and business and government simply has to accept this and get with the program, or risk losing their audience or alienating their target market. In one of our initial posts, I was talking about meeting the guys from Freshbooks, a trusty online based app that we use at Standard Media Services, for our invoicing and estimating. It’s great, and you should check it out. Well, this week, I was introduced to another great idea on the web. Customizable online portfolios via Carbonmade. It’s great for design companies of any size, and ideal for freelancers, copywriters, visual artists…just about anyone looking to show off their wares. Just when I thought I had been dazzled enough as I was attempting to have a Kettleman’s toasted sesame seed bagel with Swiss, an associate drew my attention to a collaborative web based service called Conceptshare. Check out the screen shot below. We wanted to call some attention to something we’re really pushing as a method to moving a CD or DVD project forward as effectively as possible. We’re about education and knowledge, and since one of our goals is changing the way current and future clients look at CDs, DVDs, and USB Flash Drives as content delivery mediums, we wanted to discuss something we’re busy with currently. Splash pages. We had the pleasure recently of doing a small run of CDs for local Ottawa artist Ana Miura, who I’m of the firm opinion is one of the best undiscovered musicians in Canada currently. I worked in the music industry for about four years with a small independent label that I founded back in 1999, and have seen a full spectrum of different kinds of artists…some good and some who needed work….in a variety of genres. Ana is one of only a handful that I’ve come across that I think truly has a gift that needs to be shared. I think this seriously only happens every once in a while. 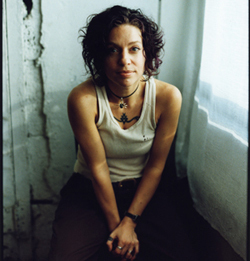 Her music is fantastic. As a company that services Ottawa’s association and council market, as well as the Government of Canada, I wanted to shed some light on the practical applications of using USB flash drives as a method of delivering interactive and dynamic content. I speak with Comm and Marketing managers every day, and there seems to be a lot of differing opinions on CD/DVD vs. USB. This may be old news…but for those of you who are passionate video bloggers, you’ll love Gary Vaynerchuk. Pictured above when he was on The Big Idea with Donny Deutsch, Vanderchuk transformed his family’s local liquor store in New Jersey into the Wine Library. An infectious public speaker on business, social media, and wine, his references to “bringing the thunder” are awesome. If you’re into building your brand and being passionate about what it is that you do, he’s quickly becoming the go to guy. Very interesting. I’m writing a blog entry about this for a reason. Having worked in the industry for a while, and hopefully our website reflects this, I think there a lot of misconceptions about what CD & DVD Production Services are, especially in the National Capital Region that is Ottawa. Every communications company or media broker seems to be offering this service to clients, and if you type CD & DVD into Google, you’ll come across a bevy of companies who do CD & DVD like it’s selling oranges. It seems like optical media services are everywhere. …It’s a term affectionately thrown around for automobile CEOs. So I had the privilege of meeting Saul Colt and Michael McDerment of FreshBooks yesterday. Standard Media Services uses FreshBooks as it’s invoicing and estimating system, and we swear by it.